In a city known more for its glitz than its grit, Angel City Brewery is proud to rough things up a bit and work beneath the shiny surface. Our home in the Los Angeles Arts District is both brewery and canvas, the center of a revival for the city’s artists, musicians, hustlers, and craftspeople. It's an LA that's as ambitious as it is diverse and our beer is no exception. 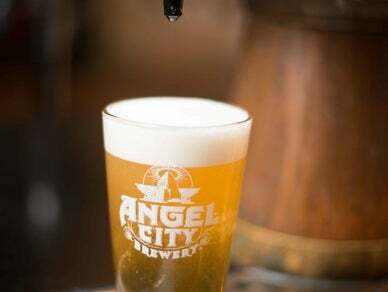 Find Angel City on draft or in 6-packs at bars, restaurants and retail locations throughout California. Visit the Brewery and Public House downtown for a brewery tour, tasting or weekly event, located at 216 South Alameda Street, Los Angeles, CA 90012. Angel City Brewery is online at www.AngelCityBrewery.com, on Facebook, Instagram and Twitter @angelcitybeer.